Purple ungrained cloth. Gold, green, and white stamping on front. 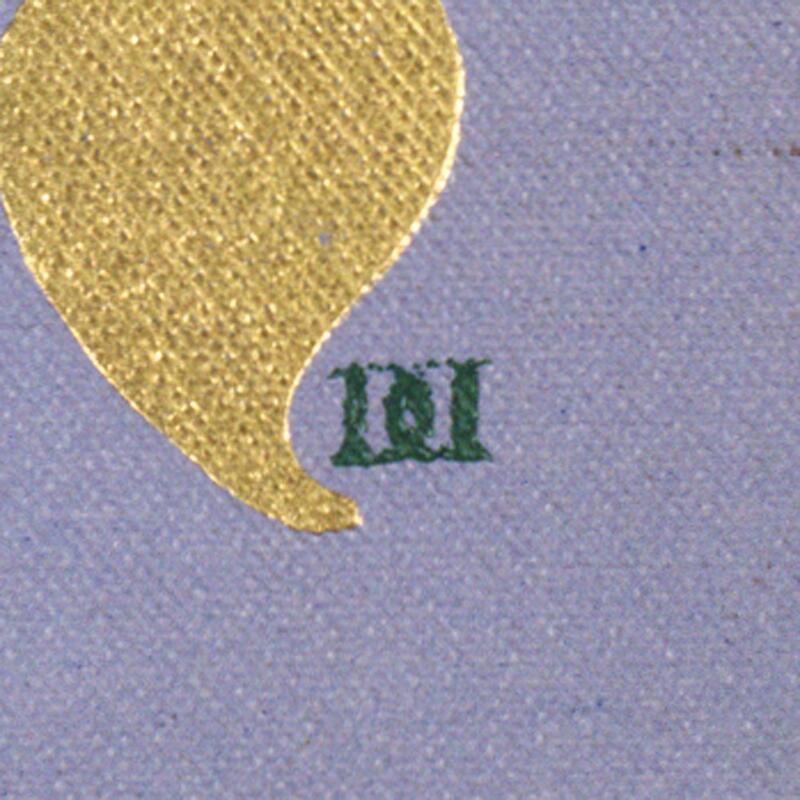 Gold and green stamping on spine. No decoration on back. Cream and gray endpapers. Top gilt. 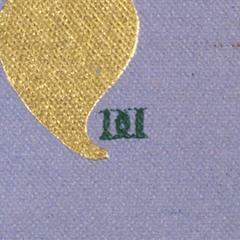 From Minsky: Light green, dark green, white, and gold on lavender cloth. Height: 21 cm. ; Width: 14 cm. ; Depth: 5 cm.